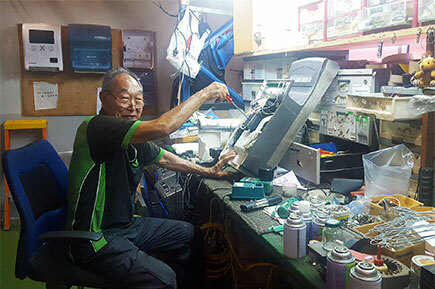 In June 2018, Uncle Tang, the most senior member of the team at our Singapore branch, retired after 14 years at Alsco. Initially Tang worked in the mat department at Alsco. He later moved to his role in the Q2 store, reconditioning and repairing washroom dispensers. His favourite thing about Alsco was learning to be a technician, something he had always wanted to try. He especially enjoyed the challenge of learning how to repair and upgrade a number of different dispensers and hand-dryers. There have been many changes over Uncle Tang’s time. 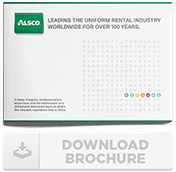 Alsco Singapore has outgrown two buildings, and Tang has had to keep up with many technological changes to the dispenser ranges that Alsco Singapore offers. He is now going on a tour of South East Asia, including Cambodia, Lao, Nanjing and Indonesia. When he gets back to Singapore, Tang will decide what he wants to do with the rest of his life. We all wish Uncle Tang the best for a prosperous and happy retirement. Although during his lifetime, he has also been a school cleaner and a gold miner, so we wouldn’t be surprised if he finds a new career!